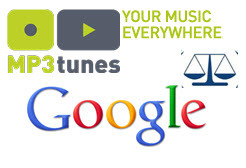 Google recently filed an “amicus curiae” brief in a New York federal court case where EMI (record label) is suing MP3tunes. According to MP3tunes Founder Michael Robertson, at stake in this case is whether a corporation can store digital assets for a consumer to access later. Google is supporting MP3tunes because its business model depends on the ability for its customers to store document, media files and associated data. YouTube customers post more than 35 hours of video every minute. If three networks were broadcasting 24 hours a day, 7 days a week, 365 days a year for 60 years, they still would not broadcast as much content as is uploaded to YouTube every 30 days. More than 13 million bands have established web pages on MySpace. What is the “take-away” point from these statistics? If you are interested in “Content Management Systems”, then you must understand what “content” really is, and what direction its heading. Are you using video on your sites? And even more important, are you recording your own videos? Are you recording “pod-casts”, so that commuters can listen to your content while they commute to work? We are definitely in the information age, and swamped in data. The new and rising stars of this information age will be those that analyze, classify, and rate this information. If you are in Information Technology, you might want to consider specializing or taking extra training in these areas. In my work with Olexe.com, we help to sift through these piles of data and identify people with desired skills, and help those people identify the courses and programs they need to further develop their skills. Incidentally, the Google brief was written by the law firm, Keker & Van Nest LLP of San Francisco, just a few blocks from First Republic Bank where am I am currently architecting and implementing an e-commerce system for creatine sale wealth managers.